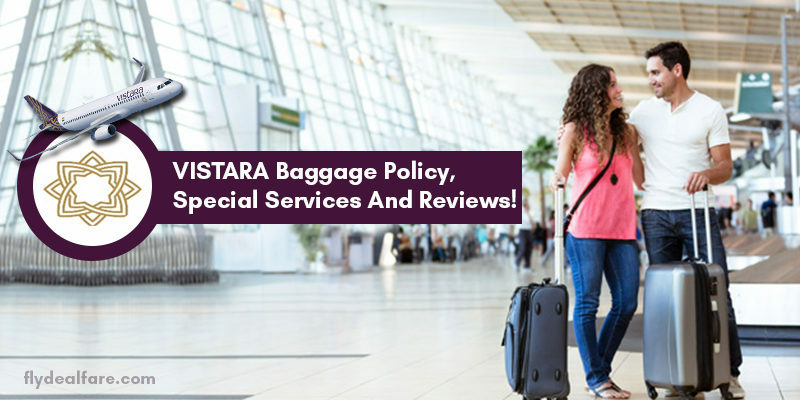 Fly Deal Fare Blog: Travel With Ease Vistara Baggage Policy, Facilities, Rules & Reviews! 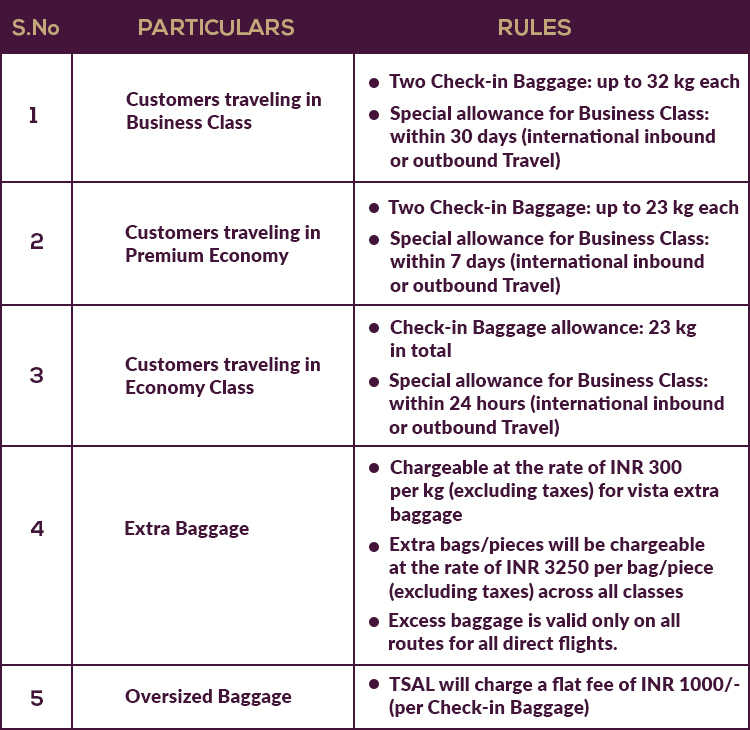 Vistara Baggage Policy, Facilities, Rules & Reviews! Vistara is an Indian domestic airline being operated by Tata SIA Airlines Limited. It is based in Gurgaon (India) and the Delhi-Indira Gandhi International Airport is its main hub. It is a very new airline as it commences its operations in the year 2015 only. Its first flight was between Delhi and Mumbai. The airline had carried more than two million passengers by the year June 2016. The airline has a 3.3% share of the domestic carrier market. This makes it the sixth largest domestic airline. It was the first airline to introduce premium economy seats on domestic routes in India. 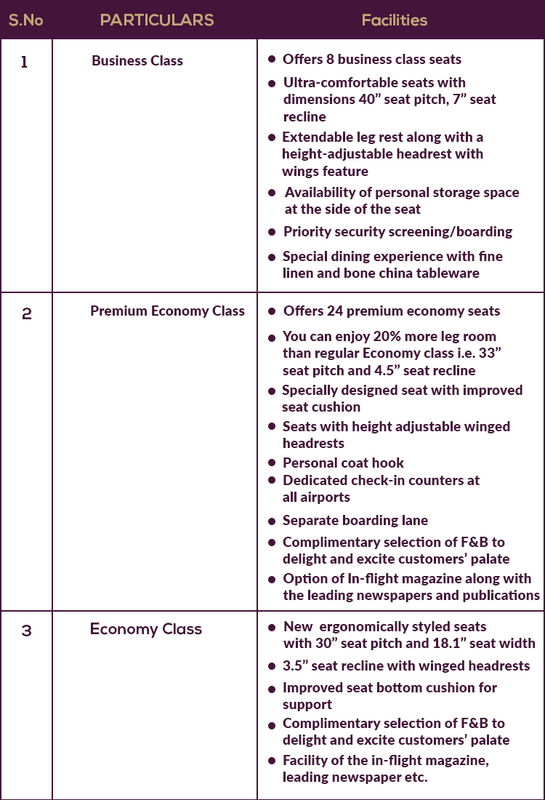 Here we are discussing the rules regarding the Vistara baggage policy along with the special services and facilities that the airline provides to its customers. No free baggage allowance is there for the customers with infants. Passengers can also enjoy the special baggage allowance in case they are retired and active Armed Forces personnel. It is up to 20 Kg but the maximum dimensions must not exceed 158 cm (length + height + width). Talking about carrying alcoholic beverages in Check-in Baggage, passengers can carry maximum of 5 liters of the same. Plus, it should be properly packed as per the rules. Carriage of e-cigarettes or any other such device is totally restricted in Check-in Baggage. Passengers who are linked to the international flights of the airline will be entitled to a special enhanced Baggage allowance based on their class of Travel. For this, they need to present the copy of their international e-ticket or boarding pass for verification at the time of check-in for their flight. Coming to carrying of liquids in a carry-on, you are allowed to take stuff like gels, aerosols, shampoos, lotions, toothpaste, creams, hair gels, hair sprays, liquid cosmetics or any other liquid item. But it does not exceed the limit of 100 ml. 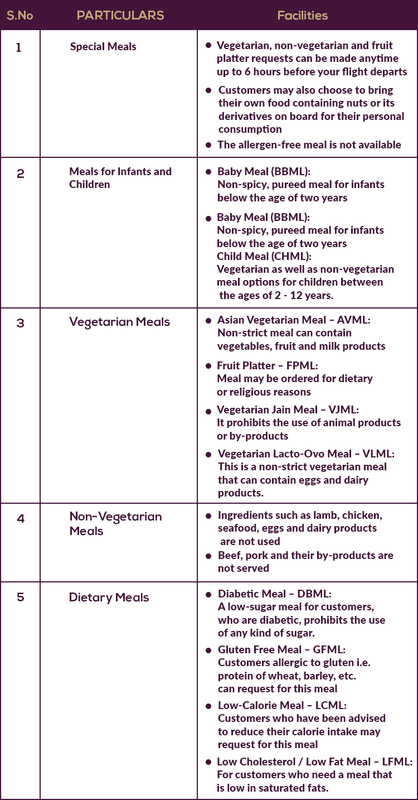 On any flights originating from Jammu and Srinagar airports, there is no hand baggage allowance is there (excluding laptop bag and ladies purse) as per the Vistara baggage restrictions. For Sikh customers who wish to carry ‘Kirpan’ can totally take that in flights. The maximum length related to that will be 9 inches and the blade must not exceed 6 inches. In case, your hand baggage is over-sized or over-weight, TSAL may require the transfer of Hand Baggage to the Hand Baggage compartment of the aircraft prior to take-off. Passengers are allowed to carry this kind of stuff in their hand baggage as per the Vistara baggage limit: a handbag or purse, camera, rug or blanket, an overcoat, any book or other reading material, a fully collapsible wheelchair or pair of crutches, walking stick, an umbrella, a laptop or computer or tablet. Infants whose age is less than 7 days (1 week) are not allowed to travel. By law, there is no need for the infant to hold a seat. The passenger with the infant need to give the proof of age so does carry the valid identification proof for inspection of the infant. It will check by the TSA on the date of travel at the airport. An infant need to travel along with an adult. It may be the parents, guardian, relative or friend, etc. Infants need to check-in with the boarding pass along with the valid tickets. Infants are not entitled to free Baggage allowance and it is same for the travelers of every class. The only restriction attached to the travel of the infant is that they can’t be seated on the emergency exit row. Passengers are not allowed to carry any kind of pet on TSAL flights due to unavailability of temperature control facility for the cargo hold of TSA’s aircraft. A child whose age is between 5 to 12 years and is traveling alone or with one or more Customers who have not yet completed 18 years is considered as an unaccompanied minor. The child needs to be on the same flight and class as well. A child who has not completed the age of 5 years will not be allowed to travel alone. Unaccompanied minors who are affected by blindness or deafness or who are mute are also not allowed to travel alone on the flight. In case of traveling of each unaccompanied minor, an additional handling fee of INR 1900/- will be charged which will be over the fare. For traveling of an unaccompanied minor, they need to submit a duly filled unaccompanied minor form to TSA’s staff prior to departure at the point of origin. The unaccompanied minor need to carry a valid photo identification proof as it is mandatory for travel. The respective student needs to study in India and must enroll in a bonafide school or an educational establishment is eligible for this discount. This special offer of the airline is applicable only for bookings made in India. A valid student Identification proof of school or educational institution is necessary for travel under this offer. The airline offers up to 10% off on the adult base fare to Economy class passengers. There is also the free baggage allowance of 15 kg on check-in luggage along with the 7 kg of hand baggage. Passengers who are 60 years old or more at the time of commencement of the journey is eligible for this discount. If you are traveling with an internal medical device (such as a pacemaker or a defibrillator), then you need to inform the airline while making the booking as well as at the airport. You need to inform the security personnel who are conducting your screening before the process begins. There is no availability of in-flight entertainment screens in the Vistara’s Airbus A320-200s. But it provides pre-loaded tablets for its business-class fliers. In the year 2016, the airline started beaming content directly to passengers’ personal electronic devices through a one-way Wi-Fi connection. In the year 2016, it introduced the premium lounge service for the Business-class passengers and Club Vistara Gold cardholders. It is situated at the departure level of Terminal 3 of Indira Gandhi International Airport at Delhi. The lounge is spread across 250 square meters on the air-side and can seat 75 people at a time. I took flight from Delhi to Pune. It started with the best check-in facility at New Delhi Metro Station with luggage as well. There was no rush at the counter. It had best boarding service with the comfortable seats in Economy. I also enjoy the dessert called “Chocolate Fruit Triple” and that was the best dessert I ever had. When I told them the dessert was so yummy, the airline offered me another one. I will recommend choosing this airline for a great experience. I flew from Mumbai to Delhi. I prefer this airline as from the past two years, I am flying this airline and I am fully satisfied with the services. It’s on-time performance, new and clean aircraft. The service is fantastic along with the good food. The website and app are simple and user-friendly. I am impressed with its frequent flyer programme where the points accrued seem to be more than other airlines. Staff is friendly and the systematic boarding is also a good factor. Food served is nice and hot. Leg space is good and arguably the best among domestic airlines. I hope that the airline soon be able to increase its fleet size and fly to more number of sectors. Also, hope that they continue with this wonderful service! I flew from Delhi to Mumbai with the airline. The check-in was done very comfortably with no queues. While boarding the aircraft we were warmly welcomed by the cabin crew and always had had a smile on their faces which also kept on realizing that we were on board a TATA Sons airline. The interior was fantastic and well-maintained. The seats were comfortable as it had a very soft cushioning. This was the first Indian airline whose seats were made up of leather. The legroom was also nice. The food tasted fantastic. I am waiting to fly with them to fly internationally. Overall, it was a very pleasant and comfortable journey. Plus I also had a very fantastic experience.